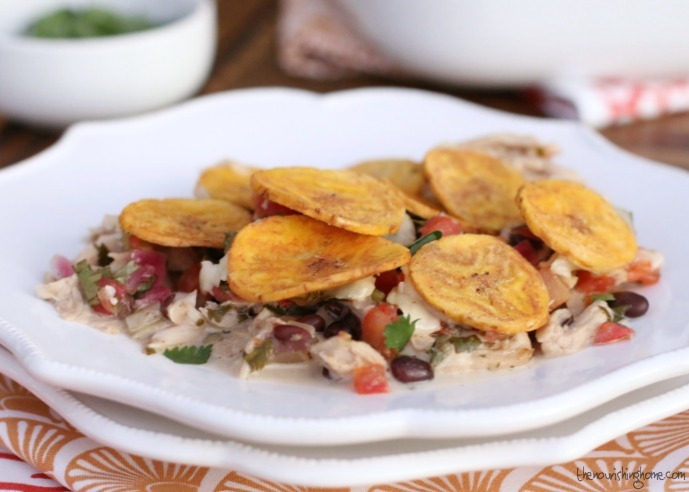 Transform leftover poultry into the perfect weeknight dinner! One of my favorite ways to save time in the kitchen is to Cook Once, Eat Twice or More! That’s why I’m all for making the biggest roast chicken (or turkey) that I can afford (and will fit in my slow cooker or roasting pan). Cooking a big bird means lots of leftovers for making quick-n-easy weeknight dinners like this savory Mexican-Style Casserole! This simple recipe combines the fresh, light flavors of pico de gallo, cilantro and lime with the deep hearty richness of roast chicken (or turkey), black beans and Mexican-style seasonings. 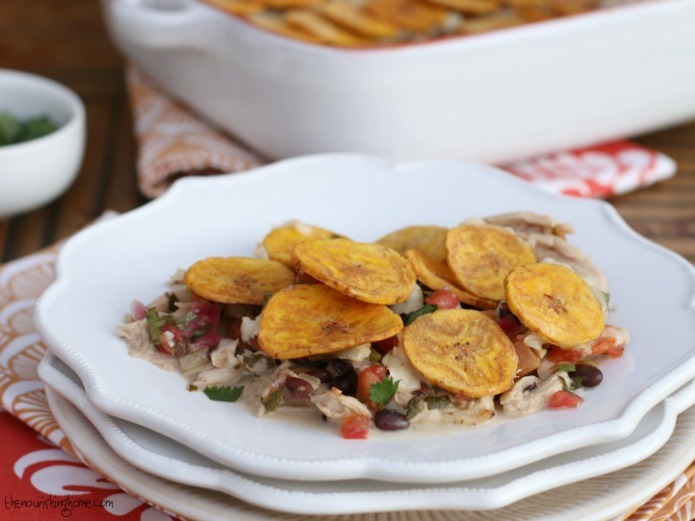 I love topping this easy casserole with crunchy plantain chips, but if you’re not grain-free, feel free to use tortilla chips instead – goodness knows that’s my boys’ favorite! This simple and savory dish is perfect solo, or serve it with a side of Cauli-Rice (or Baja Cilantro Rice) and a big green salad. Yum! P.S. The lovely linens featured in these photos are courtesy of my friends at Hen House Linens. I just adore their beautiful table linens, and even more so, their mission to make mealtimes special by adding a touch of warmth and beauty to the table. Preheat oven to 350°F. 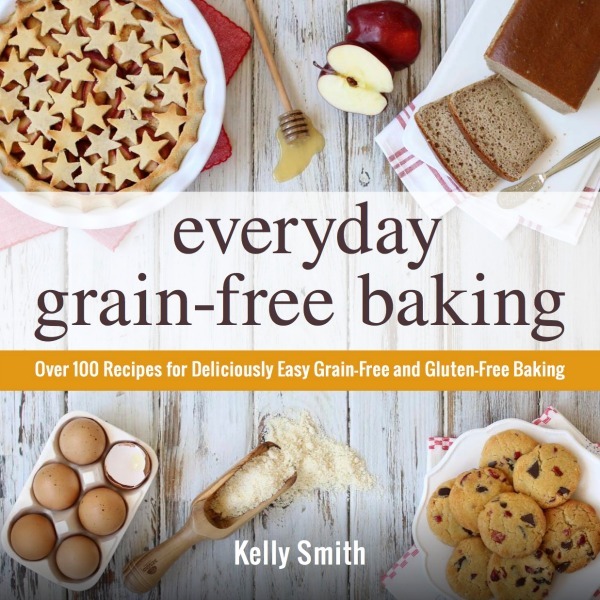 Lightly coat a 9x9-inch baking dish with coconut or olive oil. Set aside. In a medium bowl, combine the salsa layer ingredients (pico de gallo, cilantro, green chiles and lime juice). Set aside. In a large skillet over medium-high heat, sauté onion in one tablespoon of olive oil until softened (about 2-3 minutes). Add garlic and cook until fragrant (about 1 minute). Add the shredded roast chicken (or turkey), black beans, cream cheese and seasonings. Stir until cream cheese is melted and ingredients are well combined. Remove skillet from heat. Evenly distribute the chicken (or turkey) mixture across the bottom of the prepared baking dish. Drain off excess liquid from the pico de gallo mixture. Then spoon it evenly over the top of the chicken (or turkey) layer. 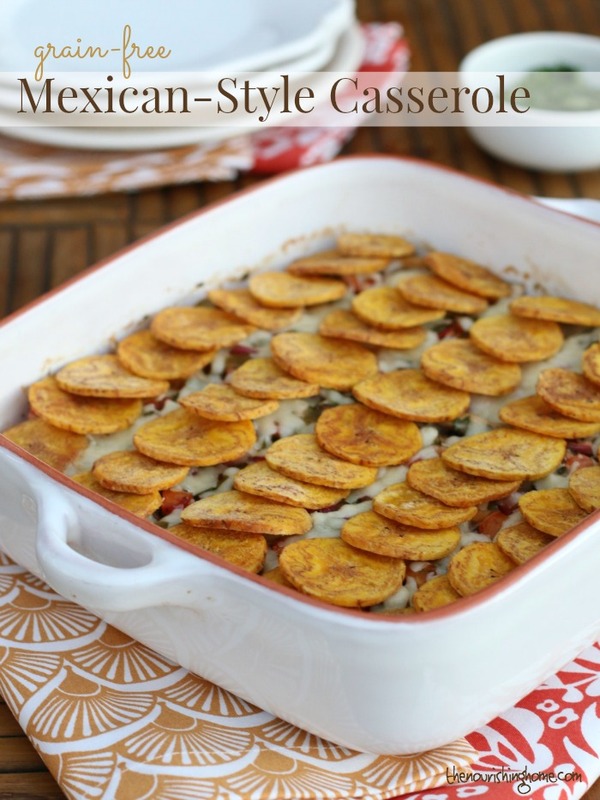 Sprinkle top of casserole with shredded cheddar and a layer of plantain chips. Bake casserole until cheese melts (about 20-22 minutes). Serve with Cauli-Rice and a green salad. If you're not grain-free, feel free to top this savory casserole with tortilla chips instead, and serve with my famous Baja-Style Rice. Enjoy!